Check out the endorsement write-up below from the Hillsboro Tribune and Forest Grove News-Times! Editor’s note: With this issue, our three-person editorial board continues its endorsements of candidates in races in our coverage area. This week, we offer our views on the contests in Oregon Senate District 16; in House District 26; and in House District 29. Mark Richman, Republican, and Susan McLain, Democrat, are competing for the right to serve a two-year term as state representative in the wake of incumbent state Rep. Ben Unger’s decision earlier this year not to seek another term in House District 29, which includes Forest Grove, Cornelius and much of Hillsboro. 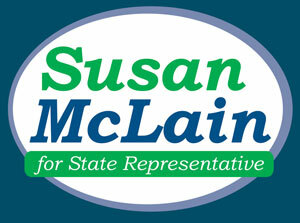 We believe Susan McLain stands out in this contest. We appreciate McLain’s experience as a high school teacher in Hillsboro for more than 40 years, and that background would serve her well in her efforts to effectively fund education in the district. McLain is well-known in the community, not only as an educator but from her years as a Metro council member, where she served from 1991-2006. In short, she has experience in government, understands how school funding works and appears to be in tune with the needs of the middle class. We also value McLain’s positive outlook on the district and how it can be improved. For example, she has focused on boosting small businesses, and we agree with her that the success of small businesses is often one of the most important factors in maintaining a healthy economy. McLain appears most likely to support several of the priorities we believe are important for the district: school funding, preserving green space, support for transit projects and preservation of farmland. Overall, Richman presented a somewhat dark view of what’s going on in the district, and his stances hinted he would take a partisan approach to legislating — not what our state needs from its legislators. We believe the scale clearly tips toward McLain in this race, and recommend voters give her the chance to serve as the district’s next state representative.